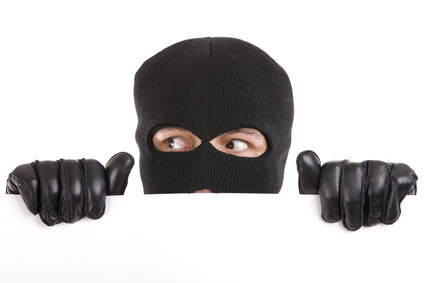 It seems that identity theft used to be a problem that just happened to isolated individuals from time to time. Well, that’s no longer the case. There’s an article almost every week revealing that hundreds of thousands or even millions of people have had their identity stolen through what’s called a data breach. One recent example of this is Target Stores where a data breach exposed more than 100 million customer records at US retailers, Internet companies and banks. Then, of course, there was Sony Pictures where the Social Security numbers and other personal details of nearly 50,000 former and current employees and film actors were stolen and posted online where anyone could view them. When it comes to individuals, one company estimates that 33% of Americans were affected by a data breach and ultimately became the victims of data fraud just last year alone. This was up from one in nine in the year 2010. While the banks and credit card providers often absorb false charges, it’s up to you, the victim, to clean up your credit history and recover any stolen funds. Besides the lost money, time and emotional energy you also face the ongoing frustration of not seeing anyone pay for the crime. Identity theft cases are hardly ever prosecuted. This is because local police have limited resources, plus the fact that these criminals are often overseas making it very difficult to find and prosecute them. What makes catching these crooks even more difficult is that they often steal or buy consumer information from one or more sources and then combine the information to create a complete dossier on potential victims. This is probably why hackers last year were able to impersonate rich and famous people to get the credit reports of Michelle Obama, Paris Hilton and even Gen. Keith Alexander who, ironically enough, was then the head of the National Security Agency. Identity theft might be a global problem but it is very difficult to measure worldwide losses. However, a study done by the Department of Justice estimated that identity theft of all kinds was responsible for losses of $24.7 billion in 2012 just in the US. This is nearly twice the $14 billion that was lost from all other property crimes including burglary and theft. Another survey found that when a credit card is used for fraud the average loss is $1251. The average loss is $2330 when a Social Security number is exposed and then used to open new accounts. It is true that banks take the biggest financial hit in these cases but out-of-pocket losses for consumers can range from an average of $63 in the case of credit cards to $280 for fraud involving Social Security numbers. It may be almost impossible for you to totally protect yourself from identity theft but there are things that you can do to protect yourself as much as possible. For example, guard your Social Security numbers very closely as well as your credit and debit card information and account passwords. You should also change your account passwords periodically and try to make them more secure. Passwords like 1-2-3-4, your birthday or A-B-C-1-2-3 just don’t do the job even though they may be easy to remember. You should be sure to shred any unneeded financial records and credit offers you receive. Combination shredders-wastebaskets can be purchased these days for $30 or less and would be a great investment. 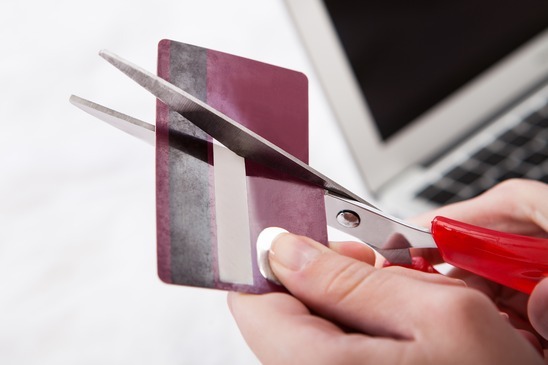 While credit card statements rarely include your full credit card number anymore it certainly couldn’t hurt to shred them as well. You’re entitled to get your credit report free from the three credit reporting bureaus annually. You could contact Experian, TransUnion and Equifax and get your credit reports from them or go to the site www.annualcreditreport.com and get all three simultaneously. Some people choose to get their credit reports one at a time at four-month intervals, as this is sort of a free way to monitor their credit on a continuing basis. When you get your credit report or reports read them carefully to see if there have been any unauthorized purchases or accounts opened. If you find one or more of these, you should dispute them with the appropriate credit bureau and ultimately have them removed. If you watch any television or are on your computer for an hour or so a day you’ve probably seen sales pitches for those companies that charge a fee for credit reports, for your credit score or to monitor your credit. We have two words for this. Ignore them. As noted above, you can get your credit reports free and if you order your report from one of the credit bureau every four months you could be basically monitoring your history year around. There are also websites such as www.CreditKarma.com and www.CreditSesame.com where you can get your credit score free. It won’t be your true FICO score, which is the one that most credit providers use, but it will be close enough to give you a good idea of how you stand – credit wise. Most experts suggest that you not sign up for a paid credit monitoring service as you can basically monitor your credit yourself. However, if you are told that a company you do business with has suffered a data breach it couldn’t hurt to sign up for any free credit monitoring it offers. If you are hit by identity fraud or theft, the Federal Trade Commission suggests that you immediately notify one of the three credit reporting bureaus and ask for a 90-day credit alert. This alert will tell businesses that you need to be contacted before any new accounts can be opened in your name. You can renew that alert every three months or if you filed an identity theft report with the police you could keep it in effect for seven years. And if you are the victim of credit card fraud, you should contact whichever company issued the card to dispute the fraudulent charges and have any bogus accounts closed. It’s important to keep good records of any correspondence between you, your bank or credit bureau. Make sure you keep copies of all correspondence and reports. Whenever you send a letter to your bank, one of the credit bureaus or a credit card provider, be sure to use certified mail to get delivery receipts and when you make a phone call, keep good notes as to what was discussed and what, if anything was promised you.